Denver: (HAN) May 27, 2014- BY: Geeska Afrika Online, Daniel Petty. 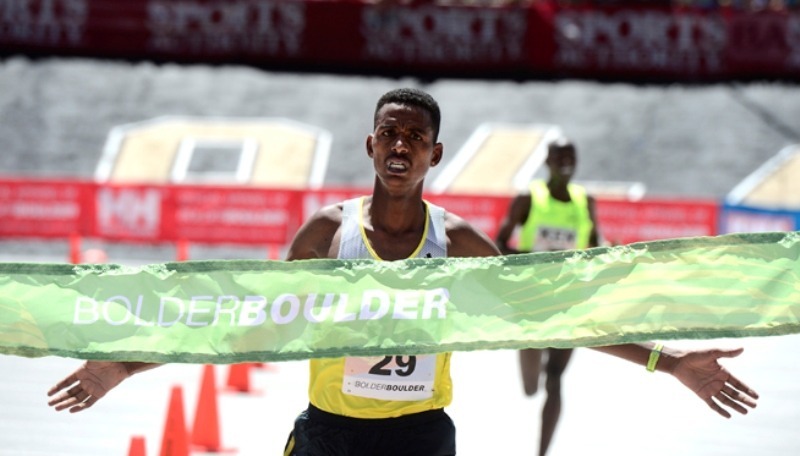 Ethiopia’s Mamitu Daska, Eritrea’s Afewerki Berhane win Bolder Boulder 2014 elite races . Racing at altitude tends to punish a runner’s lungs more than his or her legs — which is exactly what Crouch found. Afewerki Berhane did his best to remove any drama from the men’s pro race at the Bolder Boulder on Monday and he succeeded nearly all the way to the finish line. Daniel Petty, The Denver Post and Geeska Afrika Online Sports Writer.